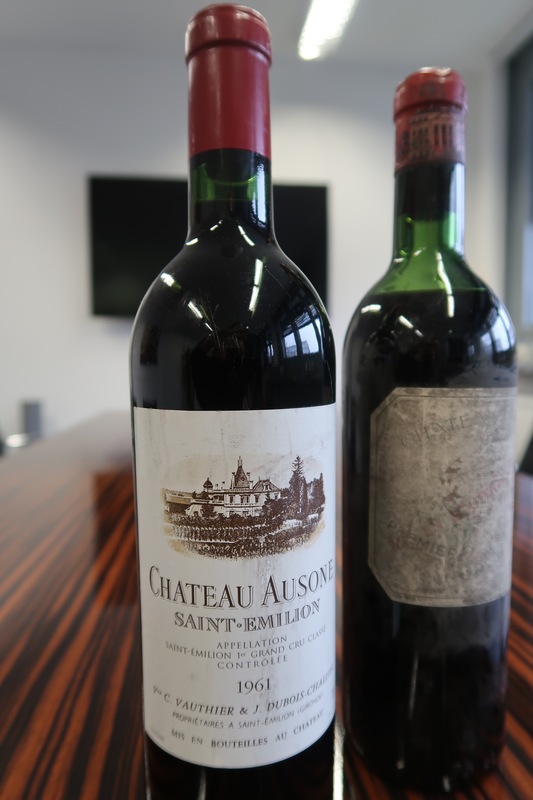 1961 - the greatest Bordeaux vintage ever? On a Saturday in November 2016 I was a guest at one of the greatest wine dinners I have had the pleasure to enjoy for the last thirtyfive years or so. 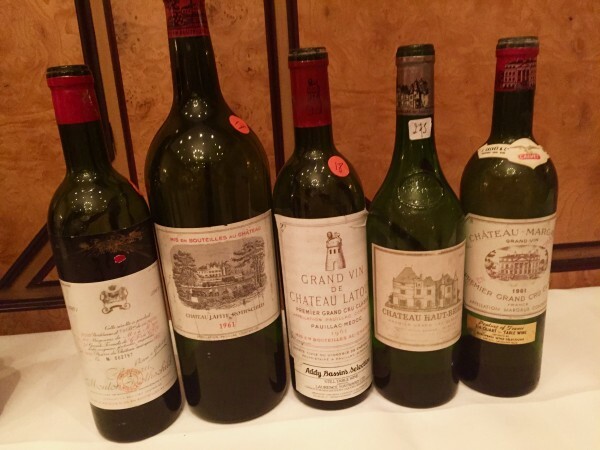 I have for a long time voiced the opinion that 1961 is the most outstanding vintage ever for the wines of Bordeaux and am now absolutely sure that it is so. During the 19th century there were a number of vintages with a great reputation made from pre-phylloxera vines. These include the legendary "Comet vintage" 1811, 1864, 1865, 1870, 1893, 1895 and 1899. Most are too old for anyone now alive to have tasted them at their peak. During the 20th century claims have been raised for the vintages 1900, 1921, 1928, 1929, 1945, 1947, 1949, 1959, 1961, 1982, 1989 and 1990. In the present century already five out the fifteen vintages produced have been mentioned by an overexcited wine press as candidate for the title - 2000, 2003, 2005, 2009 and 2010. What is the definition of a great wine? It is a wine that has an extra dimension giving you an unforgettable drinking experience - in other words, a "WOW!! effect". It is a wine that has a long drinking span. It shall be good to drink young but also be able to age for a long time without losing its attractiveness. A „good vintage“ produces wines fulfilling these requirements. A „great vintage“ however, is equally good in all major regions of Bordeaux, both on the left and right bank. It is also a vintage where something special was produced throughout the different rankings, from the lowest Cru Bourgeois to the mightiest Premier Cru. 1961 fullfills these requirements best of all. It was the vintage where the most incompetent winemaker couldn't make a poor wine and the wines were drinking very well at an early stage and in most cases still do so to this very day. Some extremely impressive wines were produced in 1945, but mainly on the left bank and a large number of wines had too high tannin levels making the wines more and more dry with age. 1947 produced the most stunning wines on the right bank but many wines on the left bank had problems with volatile acidity. 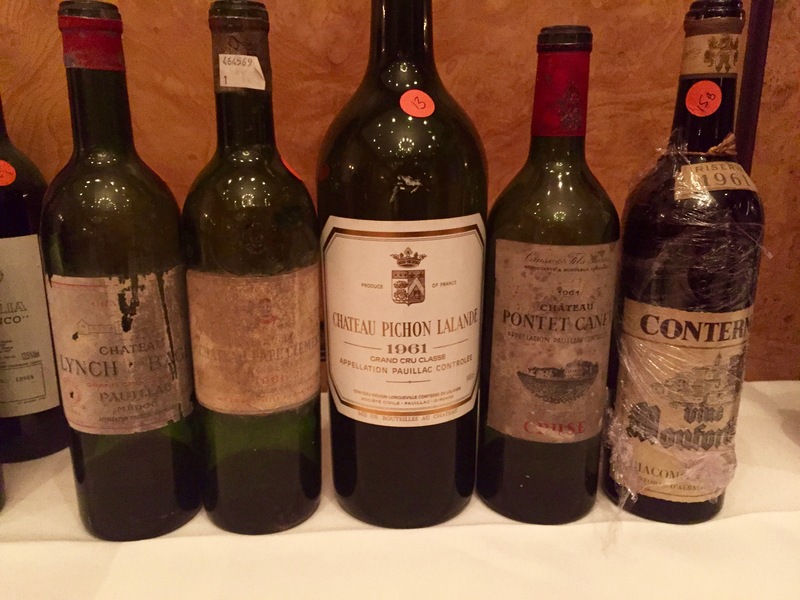 1959 produced a number of wines that are at the same level and sometimes even a bit higher than the corresponding '61s (Lafite comes to mind). But 1959 doesn't have the same constant quality throughout all levels. 1982 undoubtedly produced many impressive wines but I feel that the wines from the right bank lack structure and have not aged very well and only very few wines from Margaux and Médoc were a great success. The twin vintages of 1989 and 1990 may come closest in overall quality but it is too early to judge their ageing abilities yet. The same obviously goes for the wines from this young century. What made 1961 so special? It was a very small crop, the smallest since the war. This was partly due to coulure (cold weather at the time of flowering) and in some parts because of frost on the night between 30th and 31st of May, together reducing the yield per vine to about a third of the usual size at the time (which at todays harvests look miniscule). This concentrated the flavours and power of the few remaining grapes. August and September were both hot and extremely dry. This drought caused the maturity to take longer than the usual 100 day rule and the harvest started on September 22nd and was finished under perfect conditions. Because of better cellar techniques the wine-makers avoided the hard tannins of 1945 and the volatility of the 1947s. The wines have a very deep colour, a seductive nose and fullbodied, concentrated mature fruit with enough tannin and acidity to give the wines structure and freshness. 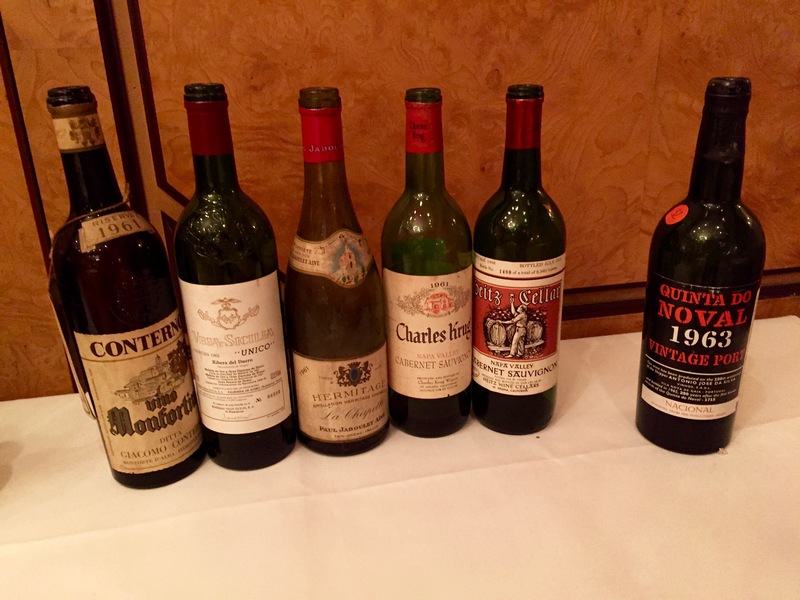 I arranged a major tasting of more than sixty 1961s in 1989 and all wines were very good, even from minor châteaux or from more famous properties that had not produced anything worthwhile for a very long time and some that have not done it to this day. I also arranged a tasting, together with Dr. Peter Baumann, of fifty wines in November 2001. I had expected a large number of these to now be over their zenith but was amazed to see that many had not seemed to age at all during these intervening 12 years. With very few exceptions they were still very much alive. How had the wines fared in the last 15 years? It is quite rare that I award a wine with a full 20 (or 100) points but I gave this perfect note to ten wines on this occasions. We had both of the stars of Margaux – Château Margaux and Palmer. 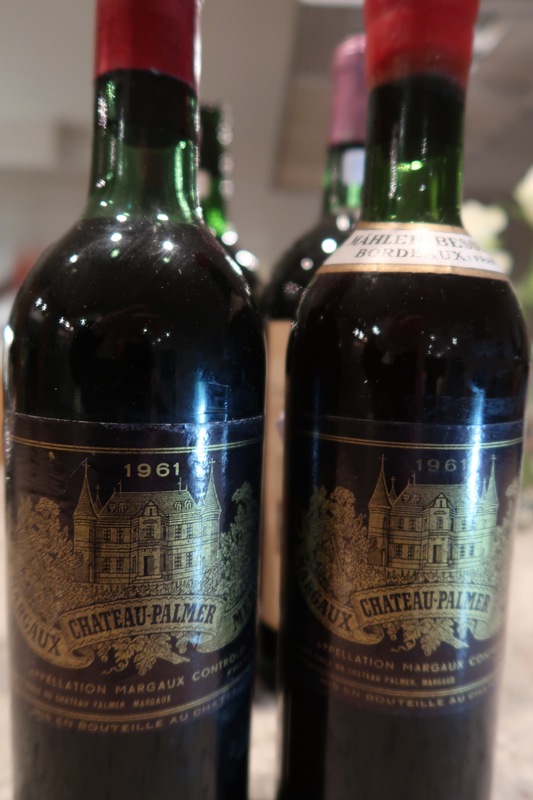 Château Palmer first reached fame in 1978 as it won the famous Dr. Taam tasting in Holland. It was a precocious wine that was drinkable before most premier crus had softened and many tasters have underestimated its longevity. I remember arranging a tasting for Château Palmer in 1995 where I decanted the wine just before the tasting, believing it being past its best. It did not show very well so Peter Sichel, the co-owner of Château Palmer, suggested that we decant the bottles planned for dinner five hours before serving them. It had then fully opened up showing all its softness and warmth coupled with power and strength for a long life. This bottle was full of charm with soft attractive fruit but is starting to show some age (19 pts). One of the best wines after Palmer and Château Margaux, which will be covered in the group of the premier crus, is Malescot St. Exupéry. La Mission Haut Brion out of a magnum was a fantastic wine, powerful and concentrated with a long future ahead (20 pts). The Pape Clément was also showing very well with a classic Graves cigarbox nose (18 pts). 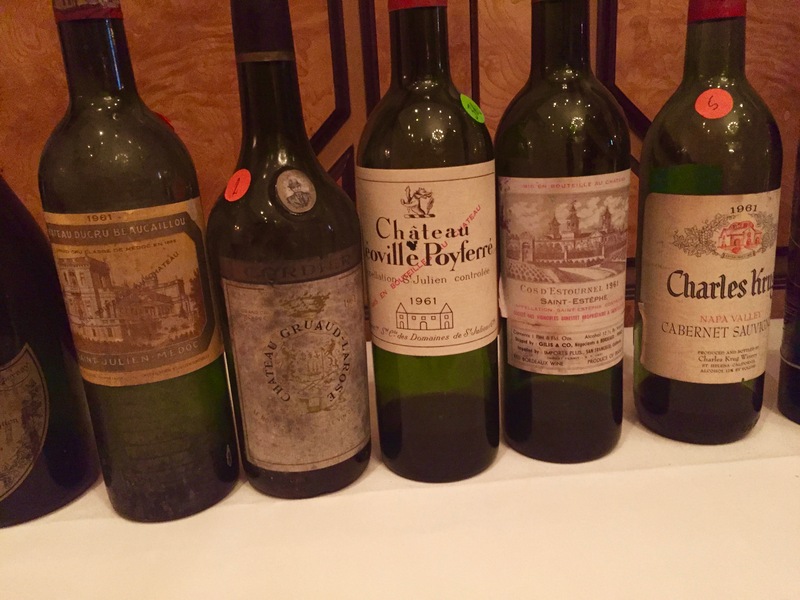 Also very good in 1961 are La Tour Haut Brion, Domaine de Chevalier and Haut Bailly. Cos d'Estournel is very good, I have had this three times in the last month and this was the best bottle – still fresh with a touch of eucalyptus on the nose (18,5 pts). Montrose is now shedding its tannins whereas Calon Ségur needs drinking after having given much joy over the years. 1961 is one vintage where I often prefer Figeac to Cheval Blanc, both are very good but Figeac often shows more complexity and elegance. 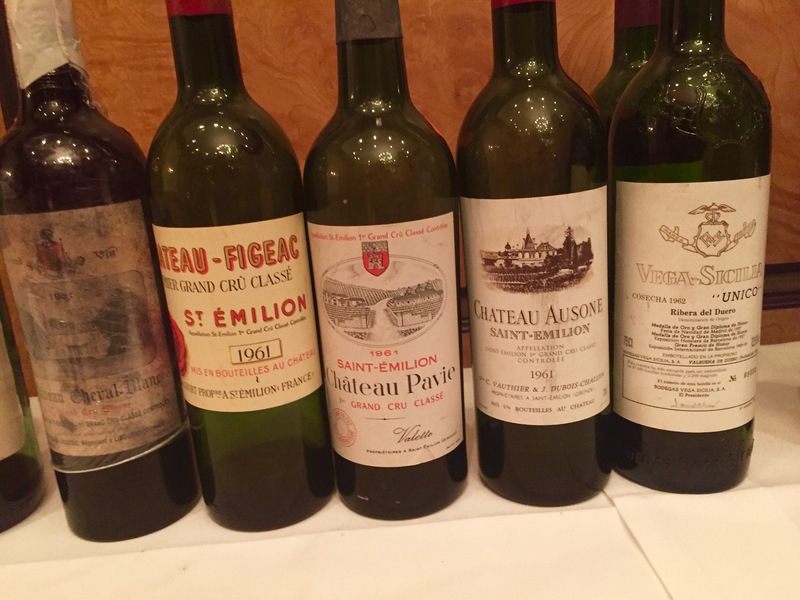 Cheval Blanc (18,5 pts) had a wonderful bouquet but the palate did not show the concentration of the impressive Figeac (19 pts) – both wonderful wines. The star of the flight was a stunning bottle of Ausone - a perfect, youthful wine with concentration and class (20 pts). Canon is a lovely, elegant wine but not having the concentration of a top '61. Two very underrated wines are L'Arrosée and La Gaffelière - both are very impressive and still bargains if you are lucky enough to find them. 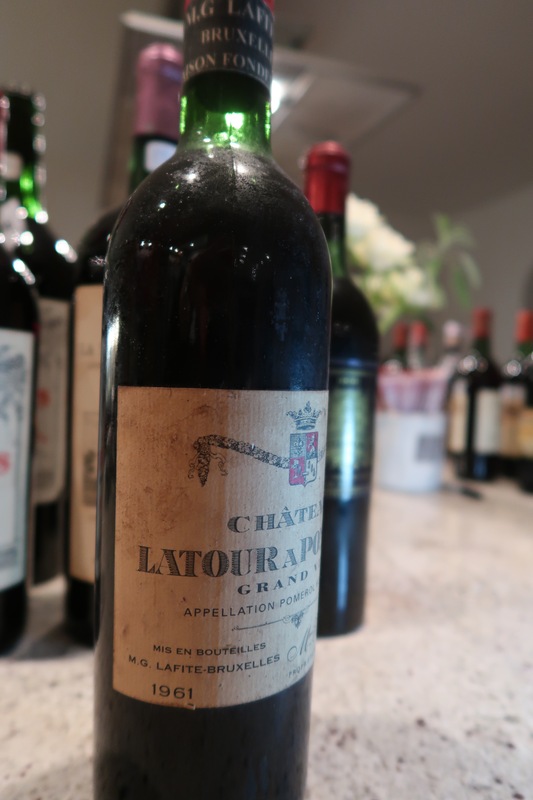 The three rarest and most expensive wines from '61 come from Pomerol - Pétrus, Lafleur and Latour-á-Pomerol. The Latour-á-Pomerol is a wine with overpowering sweetness and richness. I have had the rare experience of drinking the original château bottling three times from the cellar of the late John Avery and it is amazing. I have also drunk badly faked versions of this wine. This was a belgian bottling from Lafitte and very good (19 pts). The Lafleur is a more structured wine with more concentration and tannins (20 pts). These are among the most faked bottles around and I was happy to report that both were correct. The négociant bottled Pétrus we had was sweet and attractive but seemed to me to lack some of the complexity that Pétrus usually shows. No points .The star Pomerol, for me, was Trotanoy that somehow combined the structure of Lafleur with the sweet fruit of Latour-á-Pomerol (20 pts). Both Evangile and Vieux Château Certan are wonderful, mature wines needing drinking over the next decade or so - both 18,5 pts. A wine I also have found very good over the years is Château Gazin. It did then included grapes from a parcel of the best part of Pomerol, now belonging to Pétrus. My personal favourite here is Ducru Beaucaillou, possibly the most elegant of all wines - it didn't disappoint this time either (19,5 pts) with lovely soft fruit and a disarming nose of coffee. The Gruaud Larose was slightly tainted but is usually a solid and reliable '61. Léoville Poyferré (18 pts) showed charming sweet fruit but not the elegance of the Ducru. Léoville Las Cases is normally impressive. Léoville and Langoa Barton did not have a very good period then and are disappointing for the vintage. Talbot and Branaire Ducru are good but need drinking soon. We had a charming Pichon Lalande out of a magnum (18 pts). I often prefer Pichon Baron as it has more structure and concentration than the slightly overripe Pichon Lalande. Lynch Bages is usually very good, but this bottle was slightly tainted and not quite clean. Pontet Canet was bottled by several négociants and the one to drink is the Cruse-bottling which was the unofficial château bottling at the time. This is also the version we had and it showed very classical Pauillac structure (18,5 pts). Château Margaux made its finest wine since the legendary 1900 and it is still wonderful to drink (20 pts). Mouton is a luscious wine with so much fruit that it overbowls ones senses (20 pts). Haut Brion is totally different to Mouton and La Mission with its soft and complex fruit (20 pts). Lafite shows big bottle variation as it was still bottled from cask to cask at the time and over a long period. At its best it is very fine and delicate with little power but great elegance, at its worst it is a tired wine with no body or fruit left. We had it out of a magnum where it showed itself at its very best (19 pts). 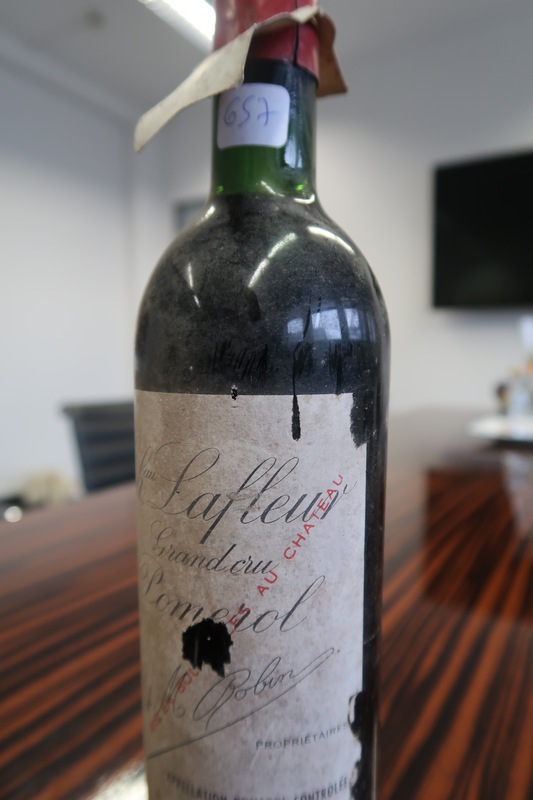 Unfortunately great quality coupled with small quantity always lead to high prices and this is particularly the case for 1961 Bordeaux. However every true winelover should have at least once in his lifetime have drunk a good '61 to know what a perfect Claret can taste like. Our host had placed some ringers amongst the clarets and what stellar wines they were! 1961 Charles Krug Cabernet Sauvignon from Napa - very good and raisiny but lacked the class of the clarets. (17,5 pts). 1962 Vega Sicilia - youthful and classy with soft tannins. For me, the best Vega Sicilia I ever had. (19 pts). 1961 Monfortino Riserva, G. Conterno - an odd nose of burned rubber. Not a perfect bottle. 1968 Martha's Vineyard - A gorgeous wine! Peppermint and great concentration of fruit. Still so youthful. (20 pts). 1961 Hermitage La Chapelle - A giant of a wine! Perfect in every way. (20 pts). 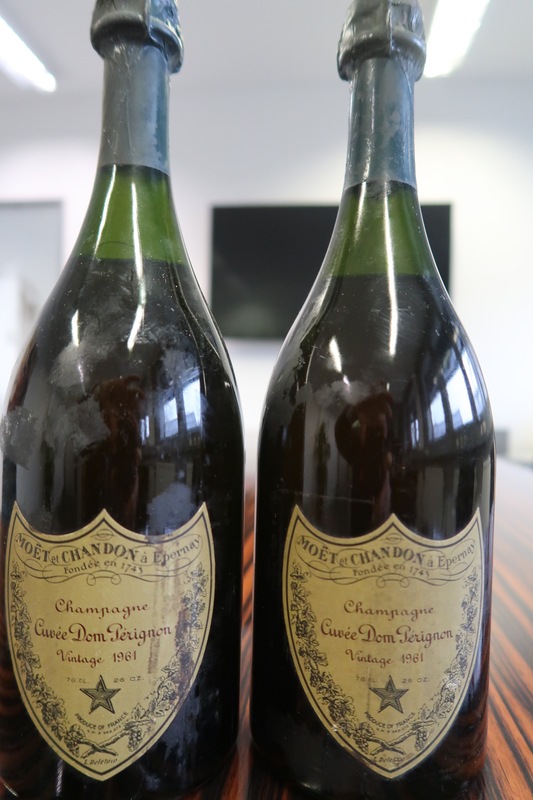 We had two bottles of 1961 Dom Perignon before dinner - one good and one very good, no bubbles any more but with toffee on the nose reminding me of a mature Meursault. (18,5 pts). The dinner was finished off in style in the shape of the best +vintage port I know - 1963 Quinta do Noval Nacional. A port with great structure and fruit. (20 pts).